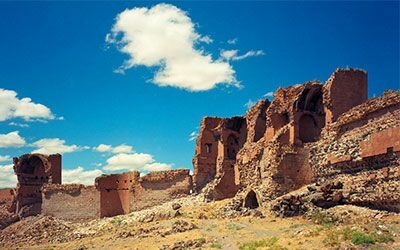 If you love history or are eager to know more about past civilizations of the world, one country worth visiting is Turkey. Many different empires have ruled it over time, and the buildings and ancient ruins they left behind are marvelous insights to humanity throughout the ages. 16 UNESCO World Heritage sites in Turkey as well as a staggering 69 that are waiting on the tentative list prove this. Including the capital ruling centers of the Hittite and Ottoman Empires, other magnificent historical structures reflect Greco-roman, Armenian, Neolithic, and Hellenistic architecture styles. Scattered around the country, touring all the sites would need at least three weeks or more, but these days, armchair travel is a suitable alternative for those who cannot make it to the country, so let’s begin our whirlwind tour of the 16 UNESCO World Heritage Sites in Turkey. Istanbul, Turkey’s largest city, has been the location of major political events throughout time. Ruled by the Byzantine and Ottoman empires, the old city part called Sultanahmet has attracted the attention of UNESCO because of its universal values in displaying two of the world’s biggest religions as well as the complex blend of western and eastern architectural styles. Iconic landmark structures include the former church and mosque of the Hagia Sophia, the 17th century Blue Mosque, the social sporting center of the Hippodrome and Topkapi Palace, the first home of the Ottoman Sultans when they invaded Constantinople in 1453. In 2014, Pamukkale was the top visited attraction in Turkey, receiving more than 2 million visitors. 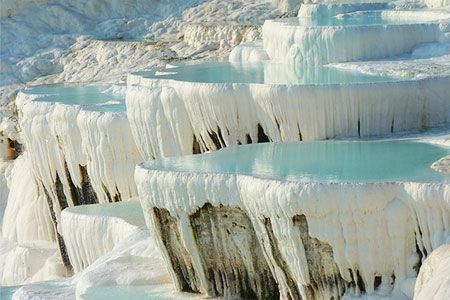 Most are eager to see the white calcium pools of Turkey’s most beautiful natural landmark that is nicknamed “cotton castle” because of its unique appearance. As an ancient healing center of wounded Roman soldiers, it sits next to the ruined city of Hierapolis that is also on the UNESCO World Heritage list. Most RTW backpackers who are touring Turkey visit the above sites first but also on their list is the ancient Greco-Roman city of Ephesus. Had it continued to thrive, the old sea-trading port could have rivaled the status of majestic Rome. Current landmarks receiving the most attention and fame are the Celsus Library, Grand Theatre, and Roman terrace houses but archaeologists have uncovered many other temples and buildings. Excavations that started in the 20th century are still occurring, and historians are excited about what they will discover in the future. Also on whirlwind tours of Turkey, the prize attraction in Goreme National Park is its ancient rock-cut churches highlighting intricate Byzantine Biblical art. As former sanctuaries for practicing Christians when the religion spread throughout the region, the structures in themselves are impressive because man carved all of them out of tufa rock that is common throughout Cappadocia. However, the Biblical frescoes adorning the ceilings garner the most admiration. Hundreds of hours of restoration work have restored them to their former glory. On the eastern border with Armenian sits the ancient city of Ani. Rarely featured in guidebooks because of its remote location, it deserves much more admiration, not only for its historical importance but also for restored buildings like the Fethiye Cathedral, and Church of Tigran Honents. On the opposite western side of Turkey, mythological fame surrounds the old city of Troy, yet for many centuries has been the target of historians and archaeologists as they attempt to uncover its historical timeline. Ongoing excavations have not cleared up much of the mystery surrounding it because to date, 11 layers of the city through various ages in history have been uncovered. Placed on the UNESCO World Heritage site list of Turkey in 1985, the unique architecture of the 13th-century Mosque and Hospital of Divrigi instantly draws the eye. Displaying in some parts, a mixture of Gothic, Seljuk and Baroque styles, this landmark is another that does not receive the admiration it deserves due to its distant location in the south-eastern Sivas. Notably remembered as the first capital of the Ottoman Empire during the 14th century, the central city of Bursa is just a 2-hour drive from Istanbul and ideally done as an overnight trip to explore all the major landmarks. Nearby the small village of Cumalikizik likewise dates from the foundations of the Ottoman Empire, but it is the 200 unique historical houses that attract tourists from all over the world. Also in the Black Sea region of Turkey, the old town of Safranbolu has graced the UNESCO list since 1994, and many travel magazines place it center spread because of its traditional heritage. It was a stopping point for traveling salesmen on the old Silk Road from east to west, and its old houses have been preserved to reflect its history. The bonus of visiting is that it holds the crown as producing the best Turkish Delight in the whole of the country. 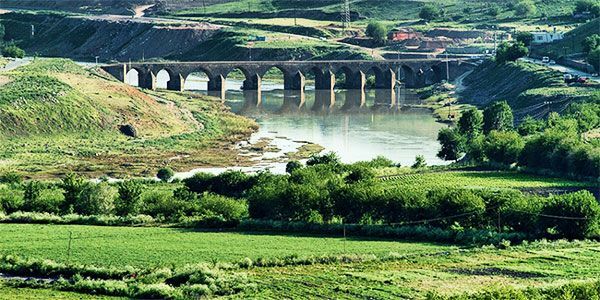 When the Diyarbakir Fortress and Hevsel gardens were added to the UNESCO list in 2015, authorities were optimistic that it would attract more tourists to the south-eastern region. Sadly, that hope has never developed into anything more than wishful thinking but this shouldn’t distract from its importance as a cultural landscape in the Hellenistic, Roman, Sassanid eras to name but a few. The small, unknown village of Bogazkale is home to what was the capital-ruling center of the Hittites Empire. Often overshadowed by the achievements of the Ottomans despite their forward thinking and courageous cultural beliefs, the ruins, spread out over a large area, need a car to explore it properly. Key landmarks are the Sphinxes, and Lions Gates as well as a reconstructed part of the city walls. Valuable artifacts discovered during excavations are currently in the Bogazkale Museum. 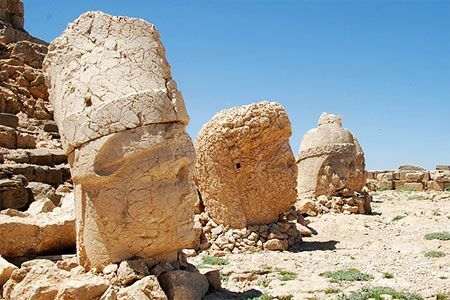 One of the most iconic landmarks on the list of UNESCO World Heritage Sites in Turkey is the statue heads sitting on the 2134-metre high Mount Nemrut. Ideally viewed at sunrise, the figures sit around a tomb that historians suspect date from the 1stcentury is making this an important historical site. Dating from the Neolithic era, this extensive collection of human habitats marks the transition of man’s living tendencies as hunters and nomads to farmers. The UNESCO World Heritage website specifically marks their importance as "Two hills from the 37 site on the Southern Anatolian Plateau. The taller eastern mound contains eighteen levels of Neolithic occupation between 7400 BC and 6200 BC, including wall paintings, reliefs, sculptures, and other symbolic and artistic features." Sitting in the Aegean region of Turkey, most visitors to Pergamon are impressed by the steep theater nestled into the hillside, yet its cultural importance is much more than that. The powerful ancient Greek ancient was the capital of the Pergamon kingdom during the Hellenistic period and is one of the Seven Churches of Revelation as mentioned in the New Testament of the Bible. The 16th-century Selimiye mosque in the northwestern city of Edirne is a classic example of Islamic architecture. Built by Sinan, who was a favorite architect of the Ottoman sultans, it is a majestic social complex as well as a symbol of religion. When Sultan Selim the 2ndcommissioned Sinan, his desire was a distinctive and impressive mosque. Sinan certainly achieved his task. Last, on our list of UNESCO World Heritage Sites in Turkey, Xanthos and Letoon sit on the western coast of Turkey. Included because of their status as the capital-ruling center of the ancient Lycian Empire, during excavations, historians discovered huge tablets inscribed with the Lycian language. Their mission to decipher these has enabled them to learn more about the Empire and their significant contribution towards Turkish history. Further Reading: If you want to discover more of Turkey, both old and new, read our article about seven famous places to visit in the country.